Contest ends at 11:59 PM EST on Saturday, November 7, 2009. *The views expressed on giveaway websites represent those of the giveaway sponsors. With 4 little ones at home, I would love to win this fabulous prize because of the longevity I would get out of it! Although the natural window of learning the skill of reading is before the age of 5, this product would also be great reinforcement for kiddos entering K-1. I'd love this for my little one because he's in the right age group and I don't want him to miss out on anything! My daughter LOVES books. We have so many we could start a library. I really would love for her to learn how to read, but don't know how to get started teaching her. This would be great. I'd love to win this because I've seen all of the late night infomercials! I've been dying to try this :) I had a photographic memory when I was a kid, so I was reading at 2 1/2 years old. While I don't expect my daughter to be the same I hope she loves reading as much as I do. Thanks for the great giveaway! I would love to see if this works!! I would love to win this because my toddler recently borrowed one of the books from a friend of mine and has already learned 6 words! I'd love to give my God-nephew a head start on reading, and his big sister, my God-daughter, could help encourage him. I think it's amazing what children can learn before the age of 4 and I love to capitalize on this. This also looks like a fun way to teach little ones to read. I'd love to win bc I think it's snappy enough to hold my son's short attention span!! I am homepreschooling my 3yo daughter. I have started teaching her sight words and she is doing very well learning them. But when it comes time to apply them to reading in a book she struggles to remember the words. This would be a wonderful help in teaching her a fun and multi-scensory way so that she will retain what she is learning. I think anything I can do to give my baby a step up, I think it is worth it. I have an almost 3yo daughter who LOVES books and knows most of her letters. My son (16 mos) has little to no interest in books. And I have another girl due in March. So we would greatly benefit from these! I work in early childhood special education and this would be a wonderful addition to my classroom. I want to win Healthy Family book pack and Spanish learning kit would be very useful. I would love to win this because I think reading is very important for children. I have a 4 yr old and twin 1 yr olds that I think it would be great for. I would love to win this because my little boy is in the middle of this prime window of opportunity to learn to read. Thanks for the chance! Early literacy is a great way to boost self esteem and confidence. I would love to win this because children learn to read in a fun & natural way from an early age! Reading has always been an important part of my life, and I learned to read at a very early age because of my grandma (who was a reading specialist). I always envisioned my grandma helping me teach my kids to read but sadly, she suddenly passed away right before my wedding. I'm due with my first in March, and ensuring that she learns to read well and read early will be a lasting tribute to my grandmother and her dedication to childhood reading. I have seven kids, and I have three teens that are reading and almost out of the house. Then I have the little ones that I'd like to try to expand their reading growth at an early age. I have Mommy's Idea on my email feed! i'd love to win this because i have 3 children who could use it! we are a homeschooling family and always looking for new learning opportunities. My daughter is a year and a half and my son is 3 1/2yrs old.. I would love to try this out on them and see if it helps them to learn to read! I would love to win this to help my kids get a head start in reading. I love to read and want to develop this so they can enjoy reading time or bedtime stories because they can participate. I would love to win this so I can share it with our childre, my nieces, and nephews! With a 1yr. old at home, and the natural window of learning and the skill of reading is before the age of 5 so this would be perfect. I'm a Google Friend Connect Follower of your blog. I've wanted to get this since I first found out I was pregnant. My daughter has a learning disability and i wish they had this back when she was a baby. 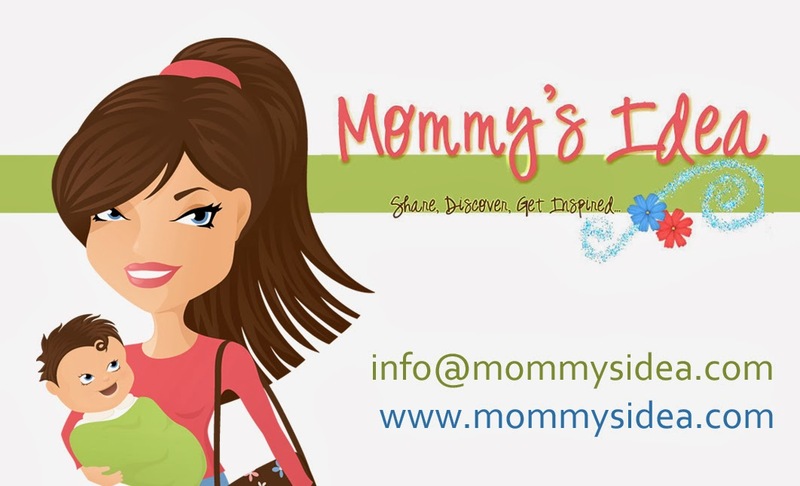 .., i just want to share this helpful stuff for all the moms out their... Helping your child to learn in an early stage of life.. It's really amazing.. I love how it uses multiple learning methods to teach. my daughter is 9 months and I would love to get her started in the program. I would like to have this to see if it really works. My new little grand nephew is only 2.5 months old and gosh darn it if this thing really does work, what better way for free advertisement then personal experience. Thanks for a great giveaway! I would love this because my child is the perfect age and I believe laying a good foundation early is the key. I would love to start my baby on the road to reading.. Because.... he brother already had speech issues and didn't talk until he was 3 1/2 years so we want to start working with her as soon as possible... Plus, it will help her in the long run and anything a mom can do to help their child we do it..
My daughter is a little young for this but I would love to give them to my 3 year old nephew. I would love to win because I have heard great things about it and would love to give it to my nephew. Thanks for the great giveaway! I stumbled upon this product on evening watching info commercials and have been intrigued ever since. I'm awed by the entire process and I have wanted to get the set for my son. It would be a great bonding experience and I cant wait to hear him begin talking and expressing himself. They grow so fast! I loved that the website for Teach your baby to read..has a free demo to let you get a feel for the progam. Thank you for the chance to win a starter package. Good luck to all, I'm crossing my fingers. This can teach my son alot of things. I would love to win this to give my son a head start before he starts school. I would love to win the Your Baby Can Read kit because I've experienced the difficulty of teaching a child to read after their natural window closes (with my cousins, nieces and nephew). I have a baby of my own on the way now, and I'd love to give him the leg up that this system offers for parents and young children alike! I would love to win this for my 18 month old son! He is at the perfect age for the natural window of learning to read! He already wants and loves to have books read to him and I think he would love this program! I would love t owin this to give my son an extra headstart, it's never to early to teach them! This package looks seriously amazing! Thanks for the chance! I would LOVE to win this for my youngest son. I am fascinated by the commercials. I would love to have an early reader. I'd love to win this knowing that early reading really sets the tone for learning later on...Great prize, thanks! I would like the Healthy Family book pack. I would love to win this, to teach my granddaughter to read. Thanks for a very smart giveaway. I'd love to try this on my daughter! Hubby learned to read early, and we'd both love the chance for our little one to be able to read when very young too - it really opens up so much! I subscribe by email too! I seen this awhile back on tv and I would love to win this for my niece. She is getting to where she focuses on everything now is the perfect time to introduce her to this. I would love to win this for my son. He is really interested in his letters and spelling out words he sees. I think this would be perfect for him. I would love to win this for my nephew. He's a bright and beautiful child and I would love to give hime this awesome advantage. thanks for the giveaway. The Foreign Language learning kit -SPANISH is highly desirable along with BABY CAN READ - English. I want this so i can learn what little one needs and wants on her terms. I see this on tv all the time and it looks wonderful. I would love to have it for my son. Thanks so much for the great giveaway! I would love to win this for my son because I really think it could work. My son is so shy I think it would help him come out of his shell in preschool. I would really love to try this with my son. If I had enough money I would of already bought it. Thank for the great giveaway.. I've watched the infomercials for this program before absolutely fascinated. I was completely skeptical but it is truly amazing. And anything that can give our children an edge in life and make them love learning and reading early on can only be a positive thing. I would love to win this because it looks very useful! WOW~I would love this for my son!! It's really an amazing program!! I would love to have this for when our first child is born in a few months. There is so much potential that children have that we don't really learn to develop. So being able to help our child learn at an early age would be so great.